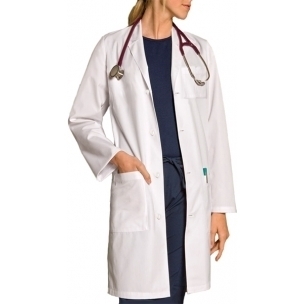 This stylish unisex Lab Coat features a notched collar and a four-button front closure. It has a chest pocket on the left and two lower patch pockets with side entry for easy access to pants pockets. The material is a durable, high quality poly-cotton fabric (65% cotton/35% polyester).